Arista introduces a sturdy practical and versatile range of Multipurpose Seating with a contemporary twist. 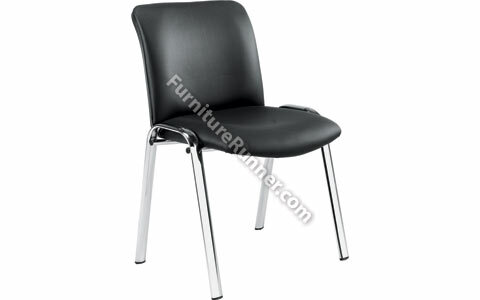 Arista Executive PU Side Chair has a recommended usage time of 5 hours. Seat dimensions: W495 x D485mm. Back dimensions: W475 x H370mm. Seat height: 485mm. This chair is suitable for all types of usage including Secretarial, Word Processing, Clerical, Professional, Accountancy and many more. The product is perfect for use whilst comfortably working at a desk, in front of computers for typically 5 hours a day.